The Chrome Phantasmic Oasis Trap is a Hydro type weapon that is an upgraded version of the Phantasmic Oasis Trap. Like a dragon protecting its massive hoard of treasure, the phantasm in this Chrome version of the Phantasmic Oasis Trap is obsessed with guarding its new-found wealth. The Chrome has blinded it with greed and its anger toward intruders knows no bounds. Even hunters fear placing this trap down as the phantasm will often snap its steely jaws at them, thinking the hunter is after the gold strewn around it. The Chrome Phantasmic Oasis Trap is not sold by any Trapsmith. It can only be crafted given the proper ingredients. A complete list of Oasis weapons can be found here. 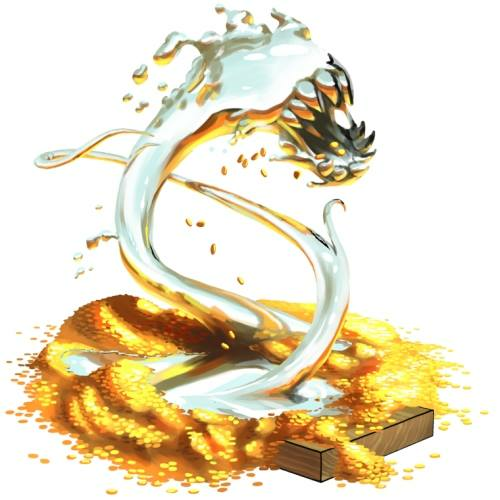 13 May 2014: The Chrome Oasis Upgrade Kit was made available for the first time, allowing the creation of the Chrome Phantasmic Oasis Trap. This page was last edited on 27 January 2019, at 01:11.